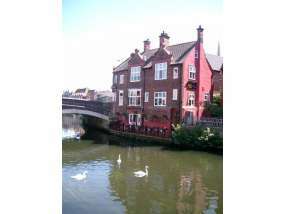 A traditional English pub on the bank of the river Wensum situated near Norwich Cathedral between Tombland and the Saxon river crossing of Fye Bridge. 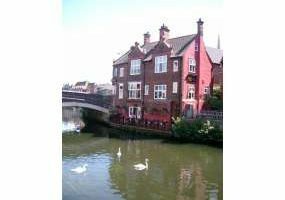 This 14th century building has seen Norwich grow as a port, witnessed medieval traders unloading onto Quay side and was the haunt of wherry skippers who sailed on the Norfolk Broads. The sign dates back to Henry VIII and proclaims one of his favourite dishes. Well worth passing a few pubs for to look and try some local brews and Norfolk dishes. The Ribs of Beef ” The City’s Favourite Local” is a privately owned Freehouse run by the Cawdron family since 1985. 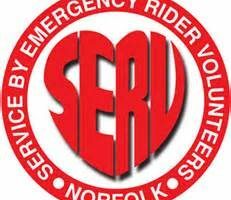 Managed by Jon Power and a team of friendly staff. 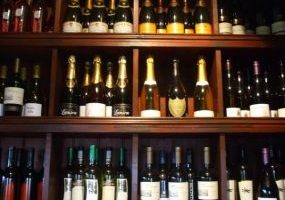 We offer a warm welcome, efficient service, value for money, a large selection of cask conditioned guest ales, lagers, ciders, premium bottled beers & a quality wine list. 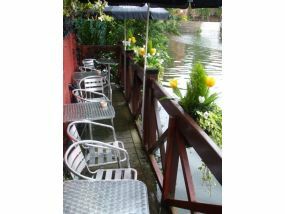 We have a riverside jetty and small beer garden at the rear with seating and tables to watch the world go by. Norwich’s best kept secret! 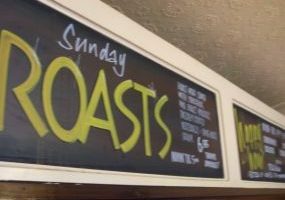 Lunch every day served until 2.30pm Monday to Friday & 5pm Saturday & Sunday. Buffets by arrangement. 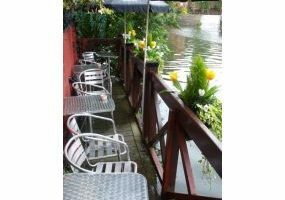 Small Function room available with doors out to the river – no hire charge. 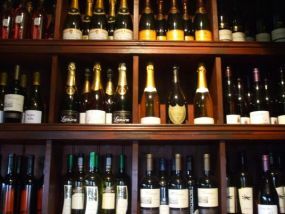 Perfect for dinner parties, office get togethers or family celebrations. Call us for more details. 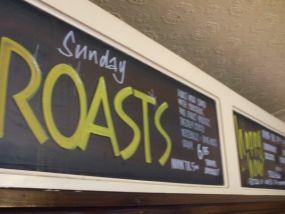 We have live music every Sunday afternoon from 5-8pm. Free Wi-Fi. Film Night Mondays.